In Empire City on the planet Olleril, it's time for the annual Tragedy Day — when the privileged few celebrate their generosity to the masses. But this year, something is different. Hideous creatures infest the waters around an island that doesn't officially exist. Assassins arrive to carry out a killing that may endanger the entire universe. A being known as the Supreme One tests horrific weapons. And a secret order of monks observes the growing chaos. Five minutes after they arrive on Olleril, the TARDIS crew know they want to leave. 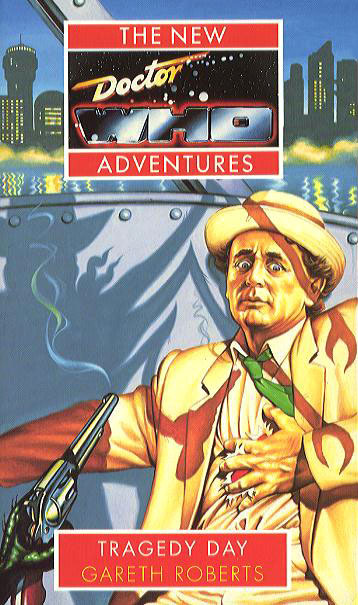 But Ace is imprisoned in a sinister refugee camp, and Bernice and the Doctor are in the custody of a brutal police gang. There is no way out. Gareth Roberts lives in Winchester and has both written and performed comedy. He is the author of the very popular New Adventure, The Highest Science.